Bit of a (possibly) daft question now. What are your preferred sales and marketing channels? The ones I have inherited are Skoobebooks (Preferred for physical), Smashwords, Createspace, and Kindle Direct Publishing. Now, Skoobebooks and Createspace are for the physical books, and have the ability to produce and ship books in Europe and the USA at the very least. Meanwhile, Smaswords and Kindle Direct Publishing (obviously) are for eBooks. With Smashwords distributing books all over the major electronic retailers, including iTunes Book Store, and places like Barnes & Noble. Which of these formats would you use on an exclusive release, if you were or do? Are you a paper publisher, or an electronic publisher? Do you combine? How do you generate your sales? What is your preferred form of marketing? 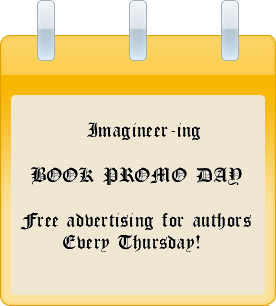 If you have a limited (or zero) budget, how would you advertise, without giving the best bits of the book away? Anyone care to answer these great questions from Damien Smy? I use createspace and Amazon…I’ve never heard of Skoobebooks…I’ll have to quench my curiosity there…I’ve looked at Smashwords, but I’m partial to Amazon because of their KDP program and library. But I’m still new to publishing and marketing Having only published from last year. Smashwords, once you have jumped through their hoops, will send your book off to Apple, Barnes and Noble, etc, which opens up to users of other devices than Kindle, and does mean you are spread wider over the net. The one thing I have to remember though, is to be patient, as all the extended distribution channels do take time to be worthwhile. I’m looking to self publish on e-readers later in the year, so thank you all for your comments and advice. I use CreateSpace for print books and Kindle and Smashwords for ebooks. My books aren’t suitable for audio – too much conlang. I don’t try to market my own books through a personal website or blog because I don’t want to have wrap and mail things. Of course I promote them on my blogs and discuss aspects of them. As for generating sales, I promote any place I can get a free listing. TSRA is very helpful! I’ve only paid once for a listing and I get blog views from that site, but I can’t see it’s ever generated any sales. Don’t forget to utilize Goodreads, if you can figure it out! I’m also active on FB and Google+ as well as Twitter. It definitely helps to build up a circle of online supportive friends. I’ve met some great people. It’s all a gradual process, unless you want to be dishonest and buy reviews or something. I have never seen the point in buying reviews. I would rather honest reviews of my (Dad’s) work. Honest reviews for self published authors are easier to spot than those for “published” and well known authors. At least IMHO. The self publisher needs the positive reviews to decide whether to carry on publishing, or just sending to close friends. I intend to use createspace, although I haven’t yet, for my printed books. I will use them alongside Lightning Source, who are print on demand but get my book into the big wholesalers here. Um, I use Amazon and if you were going for exclusivity and your dad’s books sell most on Amazon you could go for their KDP Select programme. It runs for three months but you can’t distribute the book anywhere other than Amazon in that time. You can use promotional tools then, though, like free days. I don’t use Select at all but more on the free market principle than because I shift many books elsewhere. I read a really good book which helped me with this called Aiming At Amazon by Aaron Shepherd and another one he did, POD for Profit. I think he’s even done one called Perfect Pages about formatting books in word, not sure. However, certainly, for the print side of things, I found his books really useful. The one thing I have always missed, throughout this topic, is why I chose Skoobebooks for print books, over Createspace. The personal service I got from the owner of Skoobebooks, as well as the fact that Dad received the same level of service. There is also the fact that you can use variable options depending on your finances, to help publicise and distribute your books. Pingback: Amazon, B&N, Kobo…oh my! A Look into Formatting.